Leonard Murray Metcalf is the founder and head teacher of Lens School. Len is renowned for his exquisite photographs and supportive, gentle teaching style. His broad experience both as an art educator and photographer makes him an ideal mentor as you develop your own photography. Len’s journey towards photographic education began long ago, with the gift of his first camera as a young boy in the Blue Mountains, and his first teaching experience in a local Scout troupe at fifteen years old. 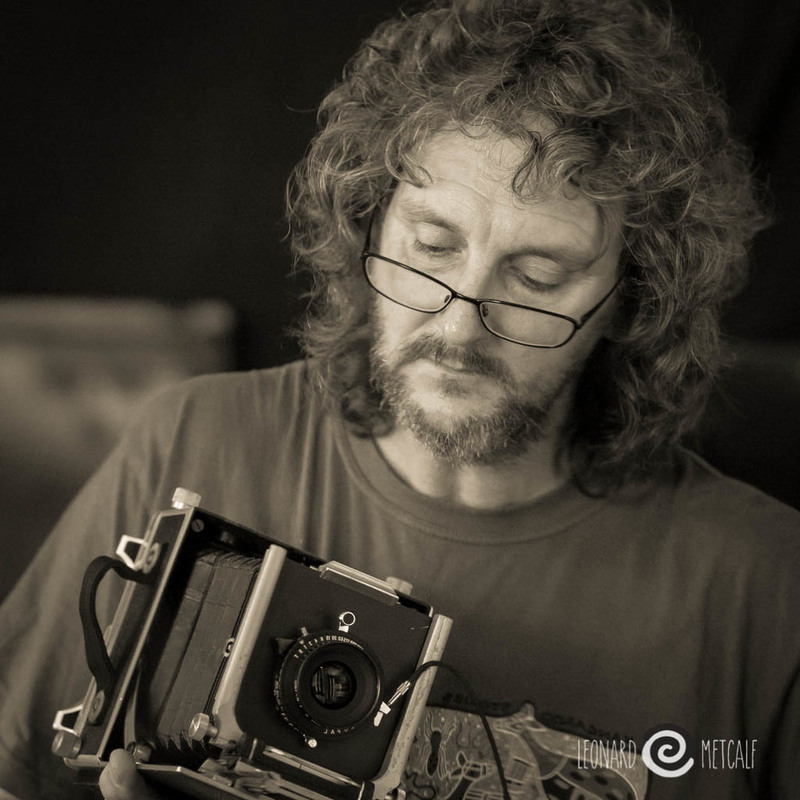 After graduating from High School, Len took a job as an outdoor educator in Kangaroo Valley to support himself through a Visual Arts degree, majoring in Photography. This was the beginning of a lifelong quest to combine his passions for adventure, education and photography. While studying Fine Art, Len had the opportunity to learn from fine teachers such as George Schwartz, Eardly Lancaster Julie Brown-Rrap and Lynn Roberts Goodwin at the City Art Institute (now Faculty of Fine Arts at NSW University). He graduated with straight distinctions and received the coveted award for ‘Most Outstanding Advanced Colour Photographer’. Turning down two corporate photography sponsorship offers, Len instead pursued a career in education and outdoor adventure. Photography became his unbridled passion and his escape from work. During his 30 year career in the education sector Len worked with numerous schools and businesses as an experiential educator, facilitating learning outcomes through experiences in the outdoors. In the tertiary education sector Len worked at the University of Technology, Sydney in the Faculty of Adult Education as course coordinator and lecturer in the Bachelor of Teaching program. Later, he took on a role in the TAFE system as a vocational trainer designing, developing, coordinating and running some of the best industry courses in the world for over twenty years. After 30 years as a facilitator, educator and trainer, Len was ready to pursue a new direction. He completed a Graduate Diploma in Art Education at Sydney University and a Masters Degree in Adult Education at the University of Technology, Sydney. In 2000 Len founded Len's School. Since then he has been teaching, mentoring and guiding photographers in some of the most spectacular landscapes in Australia, from arid deserts and windswept coasts to his backyard in the Greater Blue Mountains World Heritage Area. To find out about Len’s Photography Exhibitions and Publications, please read on. Len has worked on many projects over the years, as either writer, project manager, facilitator and designer.